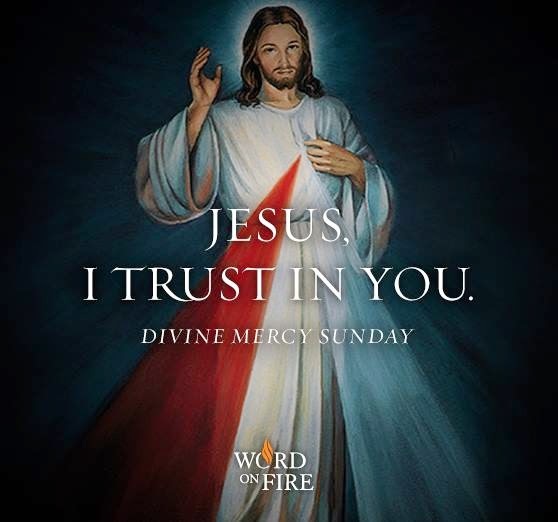 What a glorious day Divine Mercy Sunday is! Our seven year old son woke up this morning and asked me if I knew what day it was. I responded that today was Sunday. He said " No mom, today is Jesus I Trust In You day." All I could think was Praise God. The fact that his first thought of the day was that it is Divine Mercy Sunday was beautiful. I can honestly say that it was not my first thought. How precious and beautiful. How amazing that God was able to remind me of this glorious day through my son. I encourage everyone to take some time to visit the website of the Marians. The have a special devotion to the Divine Mercy and are bringing Christ's message to the world. What a cutie, and smart kiddo!!! !